Migraines and natural pain relief! Migraines are periodic, neurological headaches that are caused by imbalances in brain chemicals and pain pathways. Pain is often felt on only one side of the head and it can be debilitating. Natural relief for headache pain! Nausea, vomiting and/or pain in the back of the eyes (especially in a room with light) may also be symptoms of this type of headache. 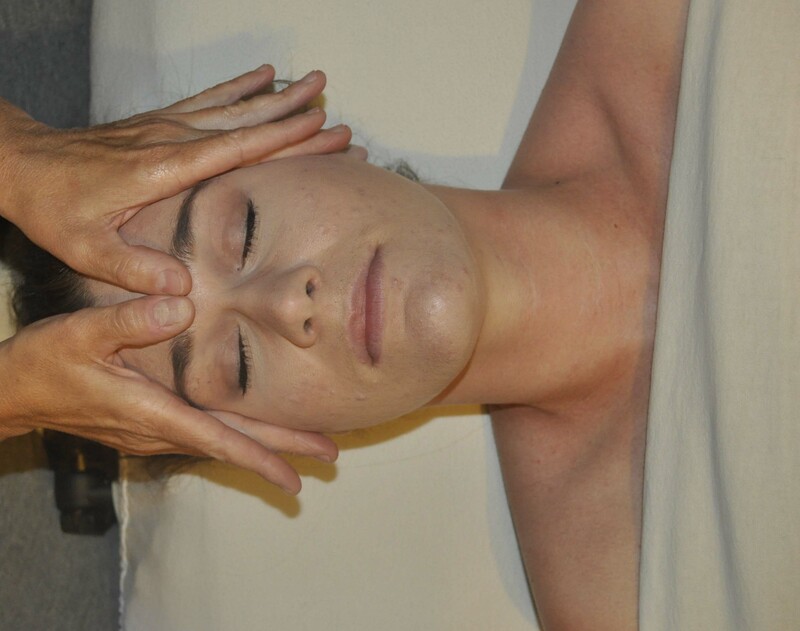 Many types of head massage has been a used as treatment of headaches for years, however, using pressure points and cold marble stones with specific essential oils, is now proving offer a faster, more dramatic relief of symptoms. Cold marble stones are sometimes placed on specific areas of the face and neck, and aromatherapy is used for relaxation of the mind and body. Although we do not know what causes a severe headache, we do know that it is triggered. When triggered, blood vessels swell within the brain. This process is called vasodilatation. As this vasodilation occurs, intense pain occurs. Common causes are hormonal changes, stress, food allergies, caffeine, and environmental allergies. If you, or someone you love, is a headache sufferer, you know the effect this disorder can have on your whole family. You’ve probably tried most of the conventional ways to relieve the pain. Unfortunately, the side-effects of certain drugs can be as scary as the problems they treat. Many people are looking for drug-free solutions, and massage for headaches, as well as nutritional changes seem to offer positive results. Most studies agree that food sensitivities could be a major cause of serious headache issues. Many studies have shown that detecting and removing the foods can improve or even eliminate symptoms. Reducing salt intake and avoiding acid forming foods (meat, dairy, cereals, grain, fried foods and bread) can make a huge difference. Avoiding sugar has also proven beneficial to headache sufferers. Massage helps by working certain pressure points of referred pain, called trigger points. Trigger points, located at the sub-occipital muscles at the base of the skull, can be the cause of some tension head pain. Exercise, head massage, and deep breathing will also improve blood circulation and calm the pain. I found this website called MigraineSavvy.com to be very useful in understanding this type of headache, so if you would like more specific information on headache relief alternatives and some amazing tips about how to cope with this horrible condition feel free to click on the above link. If you are looking for natural ways to ease migraines, these are some of the best natural pain solutions.